Financial advisors better become fluent in trade-policy talking points if they want to help clients understand the forces triggering equity market volatility during the Trump era. Clients already have begun peppering them with trade-policy related questions, some advisors report. “Our clients have become sensitized to previously obscure things,” says Joseph Birkofer, a financial advisor at the RIA Legacy Asset Management in Houston, which has more than $500 million under management and a brokerage and clearing arrangement with Charles Schwab Institutional. Recently, his clients asked him about such things as NAFTA or Brexit, topics they previously never broached, Birkofer says. This week, Birkofer’s clients have plenty of trade-related inquiries to digest since CNBC, the New York Times and other outlets report that Trump will unveil a schedule for a future summit meeting with President Xi Jinping of China, “where the two will try to resolve remaining trade issues and sign a final agreement between the United States and China,” according to the Times account. Although anecdotal evidence helped Birkofer spot the trend, his conclusions also track quantitative, empirical results that were highlighted in a National Bureau of Economic Research-sponsored study. Released in late March, the paper’s authors are Scott R. Baker of Northwestern University's Kellogg School of Management, Nicholas Bloom of Stanford University’s Department of Economics, and Steven J. Davis and Kyle Kost of the Booth School of Business at the University of Chicago. The four authors created a newspaper-based Equity Market Volatility (EMV) tracker that moves with the realized volatility of returns on the S&P 500. Their tracker revealed: “Trade Policy news … went from a virtual nonfactor in equity market volatility to a leading source after Donald Trump’s election and especially after the intensification of U.S-China trade tensions from March 2018,” the authors report. If trade policy news triggers stock market volatility, that direct relationship makes logical sense, given the stakes of Trump’s trade play with the Chinese — the most dramatic potential macreconomic policy change in decades, says Ross Gerber, CEO of Santa Monica, Calif.-based Gerber Kawasaki Wealth and Investment Management, which has more than $840 million under management. “It’s the magnitude of the importance that is causing the volatility,” Gerber says about Trump’s attempt to reset this nation’s trade terms with China. “It is just such a huge deal with huge implications,” Gerber adds. The outcome of those negotiations will determine “global dominance in the next century,” Gerber says. If Trump prevails, a huge new market of consumers becomes available to U.S.-based producers and marketers. And if he fails — and stiffer tariffs are imposed by both China and the United States — the consequences for the economy will be “disastrous,” Gerber warns. No surprise, then, that clients want their financial advisors to be conversant in the potential outcomes, Gerber says. The NBER-sponsored academics also isolated news about petroleum markets to create an EMV tracker about those articles. They found “a measure that rises and falls with the implied and realized volatility of oil prices,” the authors wrote. 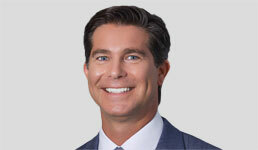 Houston-based Birkofer has always kept abreast on oil industry news, as have his clients. “In Houston, there’s an oil story every day because everyone’s life here is affected by Big Oil news,” he says. “It’s completely normal for a client during a conversation about investments to mention the most recent price for a barrel of oil,” Birkofer adds.